I did it! Over the last few weeks I’ve spent most of my time (when I wasn’t working at my day job, riding my bike or hanging out with friends – it’s a full life!) making four pieces to offer to Artforms, A Perrysburg Gallery. And they took all four of them! So my work is now available at Artforms! Check out their website and you will see that their gallery is filled with all sorts of beautiful artwork. I’m super excited to be a part of it! This is my first time being carried in a commercial gallery and oh my goodness I was nervous while making the pieces! Clearly, they had to be perfect. So I obsessed a little. I redid parts of the tree one a couple times. (There are good art days and bad art days. Sometimes there are good art weeks and bad art weeks. But it’s always worth it in the end!) But beyond wanting each piece to be a flawless example of my work (heh, that’s a really tall order in itself!) I had to think about what people would want to buy in the first place! So I made up a few rules to get me started. From the age of three my parents have owned small businesses so I’ve pretty much been inundated with retail my whole life. So one of the things I’ve learned is that you have a bigger show piece at a higher price and then you have simpler variations at lower prices. The idea is that the more expensive piece draws the eye of the customer and then they might choose to take home the smaller piece. 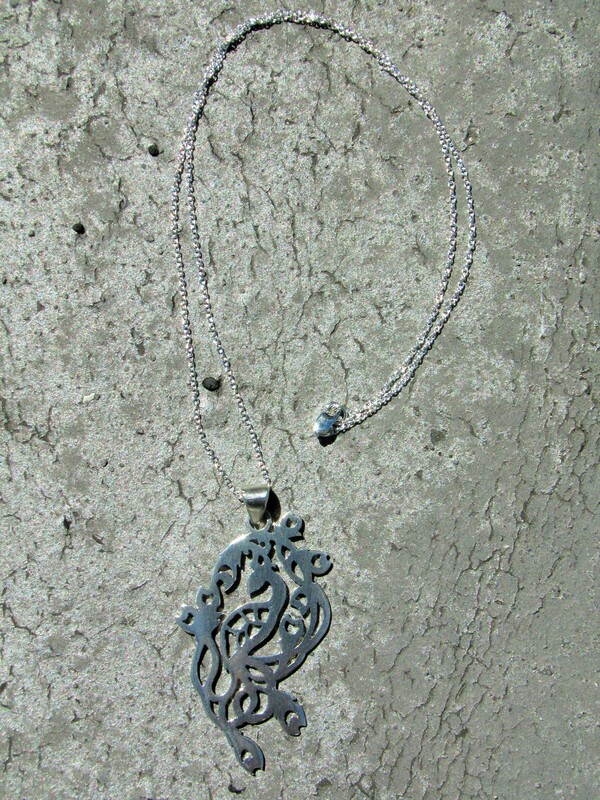 This one I picked up a little bit when I was doing a lot of commission work with jewelry. You make one piece (at the time it was the phoenix design) and people like it. But they want it slightly different. They want it to be their own, unique pendant. So they ask for changes. Maybe they want the phoenix to be copper instead of silver, maybe they want it to hang from the tail instead of the wing, maybe they just want it bigger, but no matter what, with these amendments to the original design they get something special! 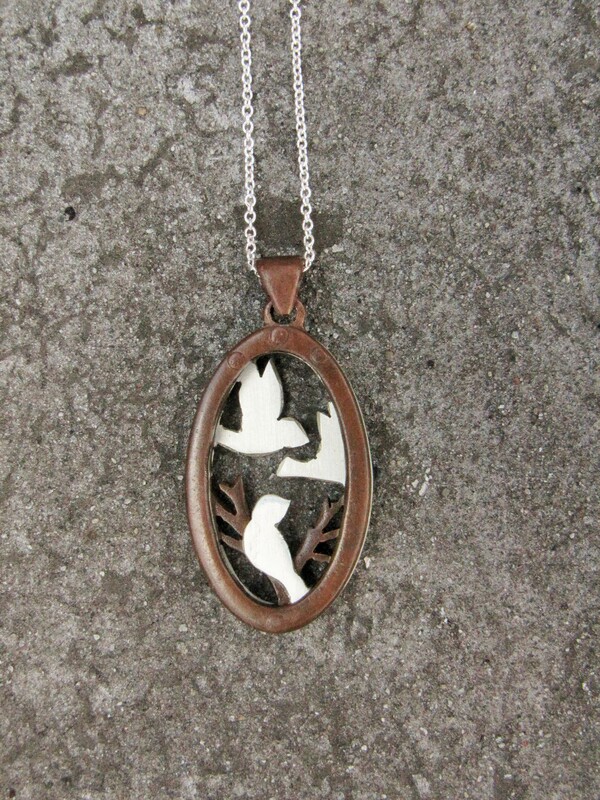 Now it’s the birds pendant that people seem the most interested in. So I made a second, smaller version of that one. And, not going to lie, this is probably my favorite of the four. 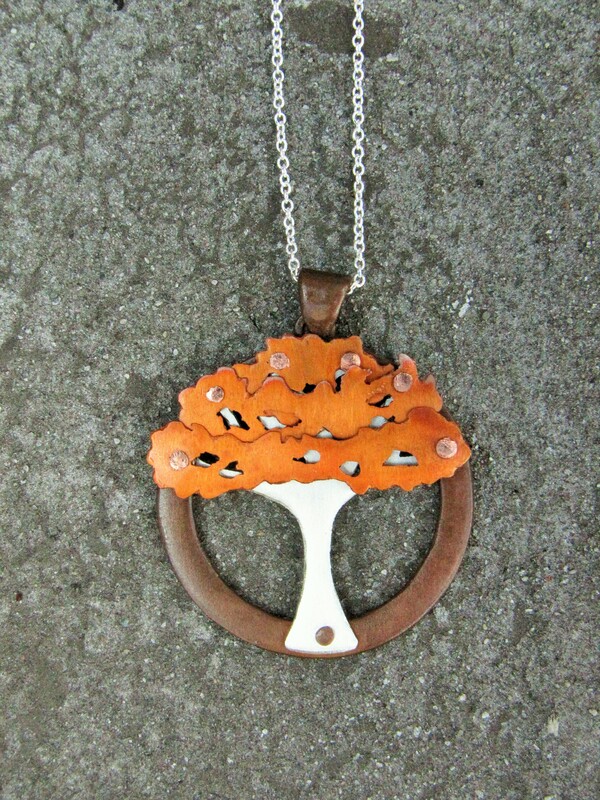 I like to wear smaller pendants and it has a good weight and feel to it. It’s not that customers will always like what I like. They won’t. But I’m the one spending hours and days and weeks making it. So I’d rather like what I’m working on. More than that, I figure that if I actually want to wear my own jewelry then there must be others who want to wear it, too. I don’t plan to make things I don’t like because others are making them and they’re selling. There are plenty of ideas still swimming around in my head (or, on occasion, hiding in dark corners, chuckling to themselves when I try to lure them out). And there are plenty of ideas that get me giddy with excitement. 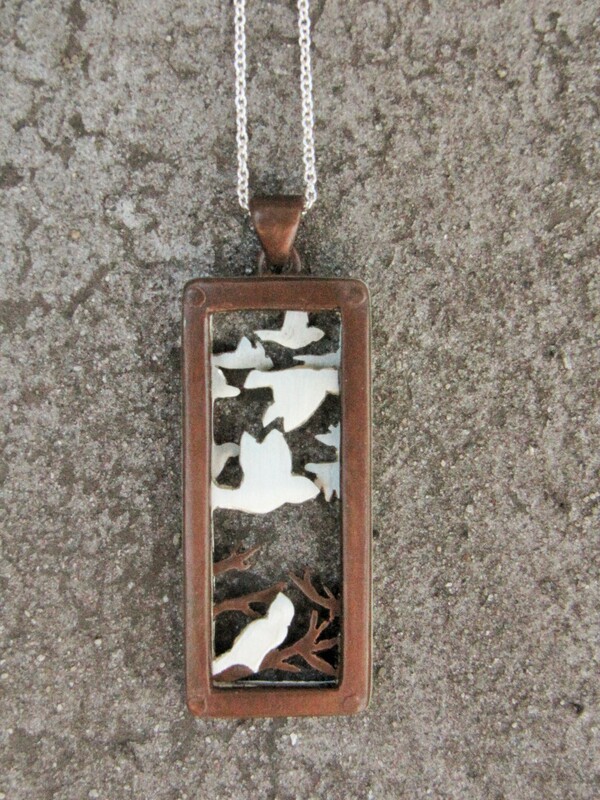 I really want to do a birds pendant with a Moroccan style window and a layered flock, all super intricate…. Well, it’s time to go back to the sketchbook and start the next design! And thank you to all the wonderful people at Artforms who have answered all my buckets of questions about how selling jewelry in a retail setting works. And thank you for asking to carry my work in the first place!